According to the Orange County Association of Realtors, new listings in Orange County were up 1.9 percent for detached homes and 3.8 percent for attached properties. Pending Sales decreased 40.1 percent for detached homes and 41.7 percent for attached properties. The Median Sales Price was up 6.5 percent to $830,000 for detached homes and 10.2 percent to $512,250 for attached properties. Months Supply of Inventory remained flat for detached units but was up 21.1 percent for attached units. 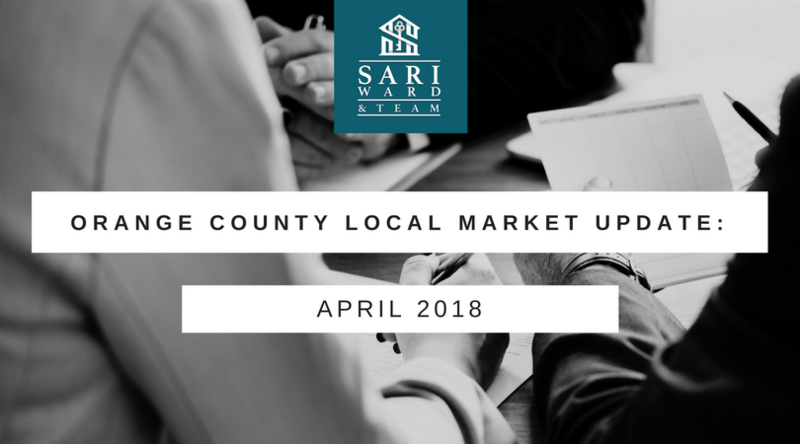 If you would like to see how the April 2018 results compare to March 2018 results, click here.